Why is the UN Funding Child Soldiers? 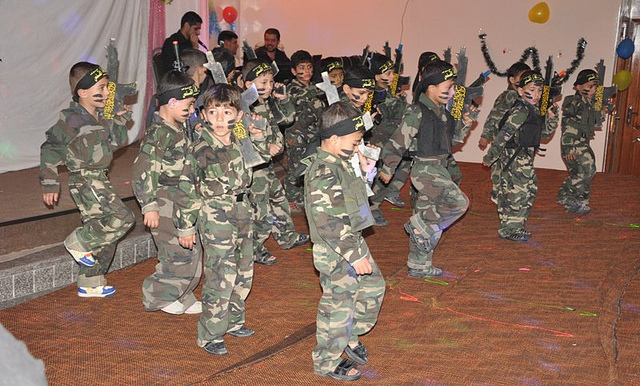 Hamas graduates child soldiers from kindergarten in Gaza (photo credit: Flickr, Israel Defense Forces). I recently became friends with someone who survived the civil war in Sierra Leone. His name is Pandit Mami. Pandit works for the Zionist Organization of America, and travels to campuses helping pro-Israel student groups. I volunteer for several pro-Israel student groups in Missouri, so I agreed to be Pandit’s driver. Pandit is a little under six feet tall, with a noticeably broad smile that could brighten the entire room. Not surprisingly, one of my first questions was – what was a guy from Sierra Leone doing working for the ZOA? The answer would surprise me. Pandit explained to me that his personal experiences with children like Ishmael is the reason why he has devoted himself to defending Israel. Pandit knows that Hamas is training thousands of child soldiers in Gaza. A short film released by the Center for Near East Policy Research shows children being trained in Hamas-run camps. The narrator explains that in 2015, “Hamas held military training camps for 15,000 boys and girls. These children are students in schools run by UNRWA (Relief and Works Agency). At the UNRWA schools the kids are taught that they have “the right of return,” (to Israel) by force of arms to villages that their families left in 1948.” The “right of return” is a belief that the descendants of refugees from, “The 1948 War” have a right to return to and conquer Israel. A child named Muhammad proclaims, “the right of return is holy and the day will come and everyone will return. Israel is a fake and temporary state, and one day it will be obliterated. We will never recognize Israel under any circumstances. I joined the Hamas summer camp because I love Palestine (Israel), and my desire is to die for the sake of Allah… Jews by their very presence defile the Al-Aqsa Mosque.” Motessem looks about seven, he beams with pride as he explains, “I joined the Hamas camp to liberate Al-Aqsa. Jerusalem is an Arab city, it does not belong to the Jews. It is Islamic land and no one has the right to give it away.” These child soldiers are not being trained to accept a two state solution, or to resist the “occupation,” because Israel stopped occupying Gaza in 2005. These child soldiers are not being trained to resist Israeli oppression, rather the opposite is true, they are being trained to oppress Israelis. They are being trained to reconquer land that was once under Islamic rule. They are being sent to die solely for the glory of radical Islam. The use of child soldiers is just as much a subhuman practice in Gaza as it was in Sierra Leone. But, with one remarkable difference; in the case of Sierra Leone the UN condemned it, while in the case of Gaza the UN funds it. On the jacket cover for Ishmael Baeh’s book it has the following description, “At sixteen, he was removed from the fighting by UNICEF, and through the help of the staff at his rehabilitation center, he learned how to regain his humanity, and finally to heal.” Tragically, the children in Gaza will never have this chance, because in Gaza the UN school systems help to create the child soldiers. And thus, as I got to know Pandit, my question was slowly answered. Pandit said it breaks his heart when he thinks about the child soldiers in Gaza. By for working with the ZOA, he is able to defend Israel, while at the same time, fighting against the creation of more child soldiers. 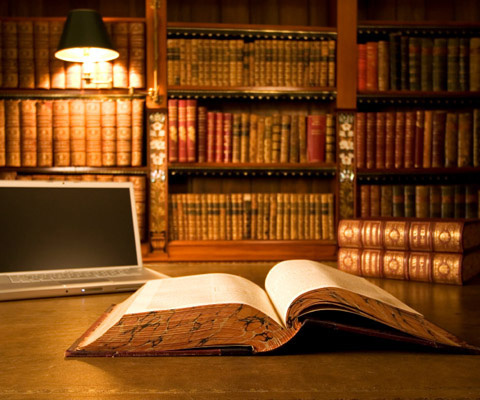 This article was originally published in the Times of Israel and can be found here.